December 29, 2011 — Who Am I? Grief is a strange companion. You never know when he will show up or what will be his weapon of choice at any given moment. 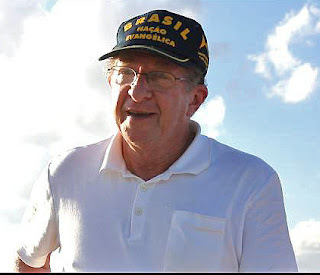 The other day, I was working on cataloging the video that we were able to shoot while in Brazil in Algodao de Jandaira. It was an amazing privilege to be there and to speak at the dedication of a memorial to the Bible, to commemorate what God has done in this desert community. 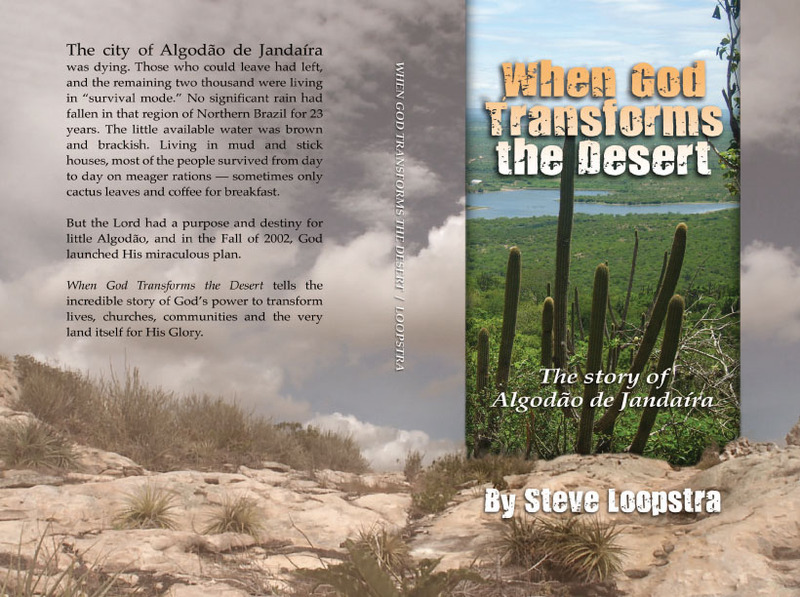 The transformation of this community is the theme of the book I wrote about Algodao de Jandaira, called When God Transforms the Desert. If you would like a copy, email me at steveloopstra@gmail.com with the number you want and a shipping address. I know all the “spiritual” and “psychological” answers, but the reality is, I have begun a quest to figure out who I am now. Who am I to be? I don’t think I realized, and I don’t think even Marilou ever realized how much of my identity was wrapped up in who we were together. It’s the kind of thing where you don’t realize what it is like until it’s gone. I guess that is part of the adventure that I am on with my “Daddy” now. Maybe a combination of finding out who He made me to be in this chapter of my life, and “reinventing” myself… into what, I’m not sure right now. I have a cold now, with cough and aches, so I suppose that adds to my vulnerability to these kinds of questions. And it’s always weird watching yourself on video. But it is still a challenging question, after 63 years, trying to figure out who I am!!! What does it mean to me now, to live alone? Should I, do I want to, stay that way? I guess that’s part of the “adventure,” right? Otherwise if would be called something other than an “adventure.” I wonder who I will turn out to be? Today, I feel pretty vulnerable. It just seems to weird talking about this at my age. But no matter what, I do want to finish strong. I want to point people to our Great God. I want to be faithful. 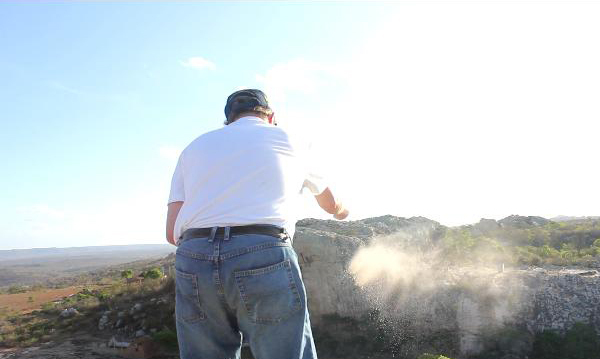 I want to be like Caleb who conquered his mountain in the last season of his life. As I read you post today, I thought of the devotional I read from Rick Warren earlier today. As you spoke of Caleb, I too have looked at his life and asked God to allow me to take that journey across the Jordan and lead one more team of His people into a foreign land with His message — finishing strong . . . be grateful to God and take "pride" in all that He has done, is doing and will continue to use you . . .
Love ya bro . .